Over the past few years, the Subaru Forester has always been on of Subaru's most popular vehicles. The Subaru Forester is made from high-quality materials that can endure off-road driving and harsh weather conditions. At this time, it is an exciting time for us here at Flatirons Subaru. The reason for this is because the 2019 Subaru Forester is now available for purchase at our dealership. The Subaru Forester has been completely revamped. Drivers of the Forester will enjoy driving this aggressive SUV. The Subaru Forester is perfect for families or all sizes. If you are interested in purchasing a 2019 Subaru Forester in Boulder, please contact our dealership. Our dealership is conveniently located near Longmont Thornton Denver. The exterior of the Forester is sleek and stylish. The grille on the Forester is modest and clean. The Forester comes standard with 17-inch wheels and high and low-beam LED headlights. If you're a driver whose longing for a sportier look, you can upgrade to the Subaru Forester Sport model. The Forester Sport comes standard with black metallic roof rails, door handles, and a darker grille. The Forester has a towing capacity of 1,500 pounds. Overall, the Forester's exterior appearance is clean and conservative. The forester can fit in at venues of all kind. The Subaru forester is a spacious SUV that is truly one-of-a-kind. The interior of the Subaru Forester is made from high quality materials. The base model Forester comes standard with a cloth interior. Drivers who prefer leather, can opt to upgrade to a higher trim Forester. No matter which trim you choose, all Foresters come standard with a leather wrapped steering wheel. Many drivers of the Forester have said that the steering wheel is comfortable and easy to control. Depending on which model you choose, your Forester will have either a 6.5-inch or 8-inch touchscreen infotainment system. Music lovers will truly enjoy the 2019 Forester's entertainment system. 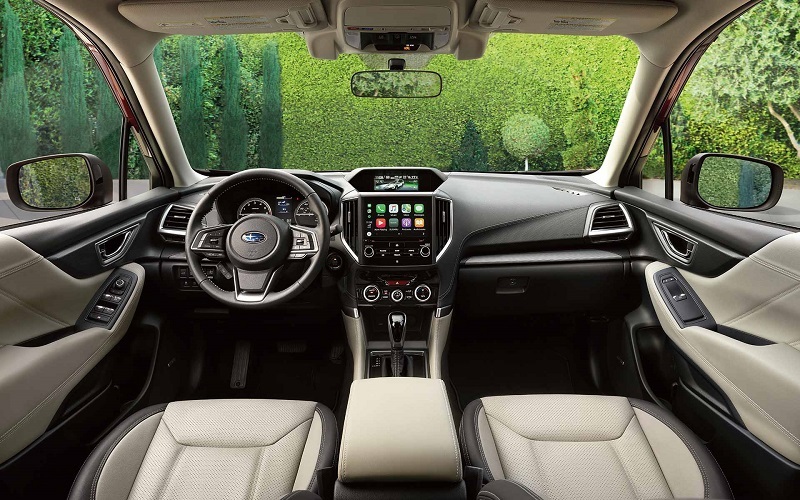 All Subaru forester models come standard with Apple CarPlay, Android Auto, Bluetooth connectivity, and a 9-speaker Harman Kardon stereo. Overall, the interior of the Forester is superior to all other vehicles in its class. Subaru is a company that prides itself on providing drivers with reliable vehicles that are affordable to maintain. The Subaru Forester is no exception to this standard. The maintenance on the Forester is very cost-effective for the average middle-class family. At Flatirons Subaru, we advise all drivers to follow the manufacture's recommendations for the vehicle's upkeep. When it is time for your vehicle to be serviced, please bring your vehicle to our dealership. Our dealership has certified mechanics on staff who will properly service your 2019 Subaru Forester. When you purchase your 2019 Subaru Forester in Boulder, your vehicle will come standard with a powertrain and bumper-to-bumper warranty. The powertrain warranty will cover all powertrain repairs needed on the Forester within the first 5 years or 60,000 miles or the vehicle's lifespan. The bumper-to-bumper warranty will cover all mechanical repairs needed on the vehicle within the first 3 years or 36,000 miles of the Forester's lifespan. This year, the Forester has one engine available. This engine that employs the Forester is the 2.5-liter 4-cylinder engine. This engine has a horsepower of 182 at 5,800 rpm. The torque of this engine is 176 lb-ft at 4,400 rpm. The Subaru Forester is a reliable vehicle. Subaru provides all of its drivers with a lengthy warranty to ensure satisfaction. At Subaru, safety is our priority. Throughout the years, Subaru has been known for producing vehicles that are very safe. The 2019 Forester has received a 5/5 on its crash safety test. This test was conducted by the National Highway Traffic Safety Administration. The Forester also has an array of safety options to enhance the safety of drivers. 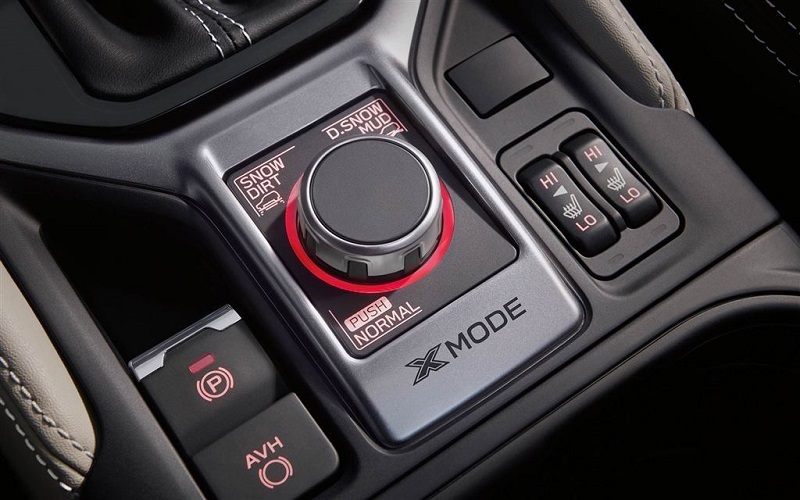 Some of these safety options include adaptive cruise control, lane-keep assist, collision throttle management, lane-departure warning, emergency braking, electronic parking brakes, and stability assist. If you have questions regarding safety, please speak with one of our staff members. Flatirons Subaru is known for its specials. Our goal is to supply affordable vehicles to the public. If you live near Longmont Thornton Denver, please visit our dealership. Our dealership is conveniently located in Boulder Colorado. You can also give our dealership a call. Our friendly staff members will tell you about all the specials that are available. 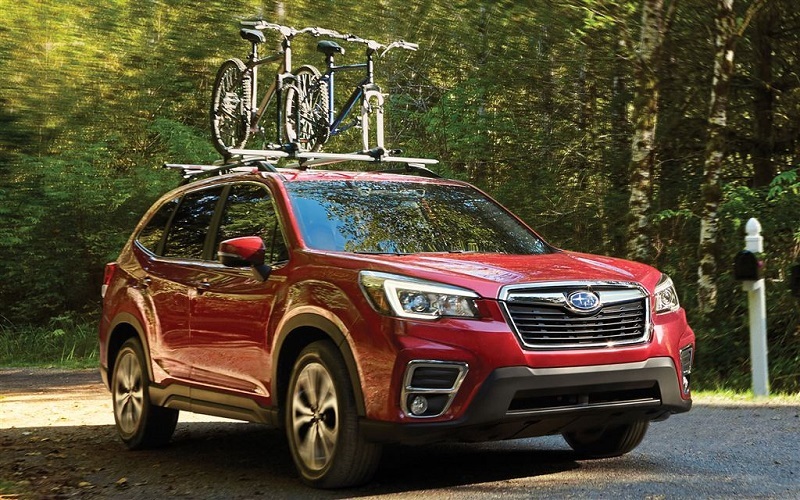 We will help you find the best deal on the 2019 Subaru Forester in Boulder. Why Buy the 2019 Forester? The 2019 Forester is a great SUV that has a lot to offer its drivers. Drivers of the Forester will have the opportunity to enjoy a reliable, stylish, diverse SUV. The Forester is perfect for on and off-road driving. The Forster also has a sophisticated appearance. In addition, the Forester is a very safe vehicle. If you live near Longmont Thornton Denver, please contact our dealership. Our dealership is in Boulder Colorado. 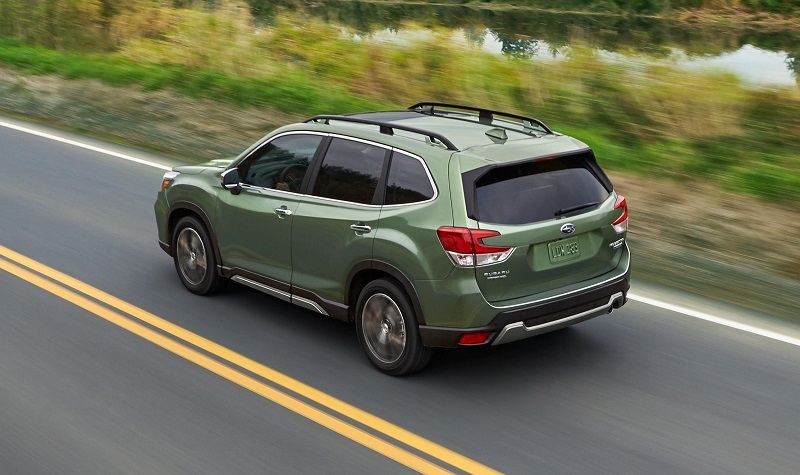 Once you arrive to our dealership, we will allow you to test drive the 2019 Forester in Boulder Colorado. Please give us a call today! Our friendly staff members are eagerly waiting to assist you.